Advertising changed dramatically with the creation of the World Wide Web in 1990. People were instantly connected to thousands of others all across the globe. This opened up countless doors for new and innovative ways to market and advertise. The most recent change in the digital marketing world has been the invention of Facebook, which has quite literally transformed the universe. Facebook skyrocketed from less than 100 million users in 2008 to nearly 1.39 billion monthly active users in 2016. 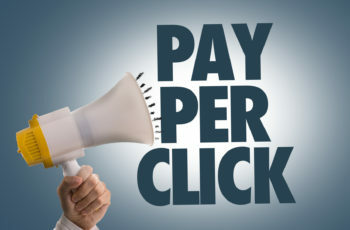 If you’re looking to advertise, then using Facebook PPC (pay per click) is something you should consider. PPC is a form of internet marketing where you are buying visits to your site. Each time someone clicks on your ad, you pay a small fee and gain visitors. We’re going to take a look at what makes Facebook PPC unique and how to make it work best for you. What Makes Facebook PPC Different? The biggest difference between Facebook PPC and other ad platforms is that you can choose different objectives for your campaign. In the past, the main objective of using an ad platform was to increase your page’s traffic. Facebook PPC allows you to have multiple objectives including building brand awareness, getting people to install your app and generating leads. There are a few important steps you need to take before you start your ad campaign. The most important is knowing exactly what you’re trying to achieve with your ad. This way, you can take the correct steps to success. Another great feature when using Facebook PPC is that you can choose a target audience for your ad campaign. Using the detailed targeting feature, you can narrow your audience based on demographics, interests and behaviors. You can also use the connections features to connect to friends, family and potential customers through your Facebook account. Something you should already know is that different countries have varying cost per click. For example developing countries like India, Philippines usually cost 90% less than countries like USA, and UK. This is because its deemed that people from developed countries have more spending power, and are more likely to convert / make a purchase. A good technique for seeing which Facebook PPC ads convert best is to create several small target audience groups and run simultaneous ads. This will help you to narrow down your target audience and advertise to the most profitable ones. Here’s a bit of a tip. Try to keep your target audience relevant by adding filters to get the most appropriate segment. However you’ll also need to strike a balance with the audience size. For example a relevant audience segment but a very small audience size would bring up your cost per click. You should always try to ensure at least 500,000 people in your target audience. Using Facebook PPC allows you to choose between a daily budget or lifetime budget. The daily budget feature allows you to run your ad continuously throughout the day. A lifetime budget means that your ad will run for a specified length of time, chosen by you. After optimizing multiple campaigns I realise that if you have a small daily budget of say $20 or even lower, vs a high daily budget of $200 or more, the cost per click / objective may vary tremendously. I have a couple of campaigns switched on permanently at $5 – $10 per day, and I’m getting results (page likes and link clicks) at 90% less than the industry average. When using Facebook PPC you have the option to use a current post for your campaign or create a brand new ad. Whichever you choose, make sure your ad is going to catch the reader’s eye. Keep it simple. Facebook users, like most people, are looking for quick results. They don’t want to hunt for what they’re looking for. Make your ad something that will draw them in. Then it’s your job to keep their attention once they get to your page. You’ll probably know that “Relevancy Score” determines how much you’re paying for your Facebook PPC campaign. One of the determining factors is the Click Thru Rate of your ad. Try using an engaging image. Generally something with people in it, something “thought provoking” or something cheeky. I used an image similar to the above to promote a quiz called “How Dirty Is Your Mind”. This ad campaign cost me just $0.03 per click (USA, UK, audience), with a CTR of about 10% and Relevancy Score of 10. My other quizzes averages of about $0.15 – $0.20 per click. Ad placement is also important. Facebook gives you several options when placing your ad, including an Instagram feed and mobile or desktop news feeds. Mobile placements generally cost less than desktop placements. Right-Hand-Side Ads (RHS Ads) being smaller and less in your sight, also generally costs less than Newsfeed ads. Its good to try all the different placements to see which works best for you. Generally for some type of campaigns, I tend to avoid Instagram and Facebook Audience Network Ads. For Instagram, I’m not sure of the mindset of the users if they are keen to explore out of Instagram. I generally almost never touch Facebook Audience Network Ads, because I’m not sure where my ads appear and how they will look, as its totally outside of Facebook’s ecosystem. It’s important to track your progress. The most important metric to focus on is your average value-per-customer minus your cost-per-customer. This is a simple equation to determine if you are getting your money’s worth. One way to see if your Facebook PPC is doing its job is by testing it. A/B testing is a pretty common advertising tool where you make several copies of the same ad with only small changes to each. Then see which ad is more effective. When it comes to your Facebook ads, you can change headings, images and descriptions. Test out a few different designs for your ad to see which one increases your conversions. These little gems are a great way to see how your Facebook PPC is converting. Conversion measurement lets you track the actions that people take after viewing your Facebook ad. Conversion pixels even allow you to see which device your visitors saw the ad on, including tablets and desktop computers. These days, placing a Facebook Pixel on your website seems to be more important as the Pixel sends signals back to Facebook on the type of audience that is engaging with your ad, and the content on the landing page. Hence over time helping you to optimize your campaign even further. Like most consumers, Facebook users get bored. You may create an impressive Facebook PPC ad that increases your CTR (click-through rate) immensely. But then after a few days, you see a slow-down in your traffic. An explanation for this is that your ad is being shown to the same target audience many times over. A great feature of using Facebook ads is the frequency metric. This shows you the number of times each person has seen your ad. Ways to change-up your ad include a new heading or new images. Your Facebook PPC ad can only do so much. Your landing page needs to carry its own weight. The tone of your landing page should be conversational. This will keep readers interested and engaged. Jason DeMers said that if you create landing pages properly you may see an increase in SEO benefits even though your main source of targeted traffic is a social media website like Facebook. When using Facebook PPC you are only paying when someone clicks on your ad. The average cost per click for a Facebook ad is $0.35 globally and about $0.28 in the United States. The only cost you should focus on is your cost-per-customer. This means how much you are paying to gain 1 customer. Here’s how you figure it out. Facebook’s built-in CPA (cost per action) tracking will show you the cost of the initial action the user takes on your website. If that action is to make a purchase, then your CPA will equal your CPC (cost per customer). Using Facebook PPC advertising provides you with so many ways to increase traffic and followers plus, make a profit. But the most important things to remember are basic marketing and advertising rules – keep things simple, fresh and engaging for your audience. Facebook Business Manager gives you all the tools you need to manage your account, keep track of your CPA, CPC and CTR. If you’re looking for an advertising option that offers you endless choices and support, then Facebook PPC might be for you!